This Taiwanese designer uses her skills in new media and interactivity to create a masterpiece for the home. "I found it’s fascinating to be able to create physical things as an expressive medium," says Chia-Ying Lee, who has been chosen as one of the 20 Asian Stars in this year's International Furniture Fair Singapore (IFFS). 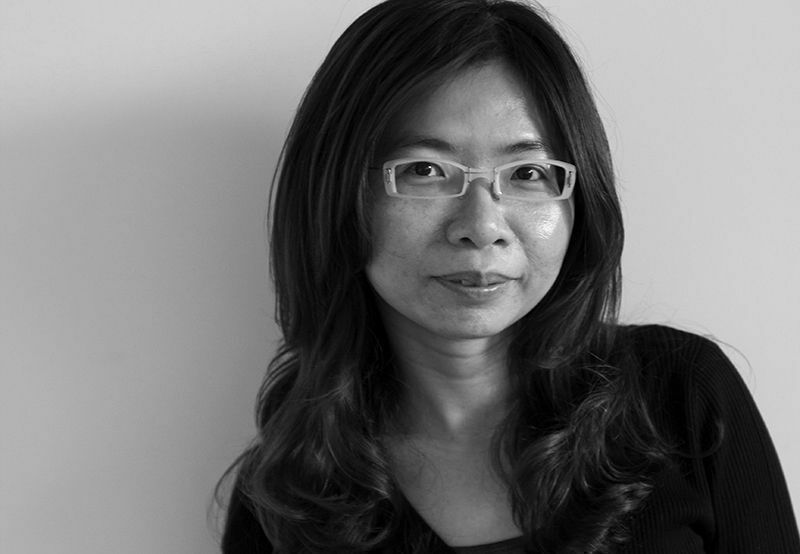 Chia-Ying is the principal designer of studio if, a Taipei-based studio specialising in industrial design, physical interaction design, and new media installation. "I studied Interaction Design but my first job after graduation was in an industrial design centre of an OEM/ODM company for consumer electronics. They put a lot of focus on designing physical things and I had several projects doing interactive home items. That started my interest in furniture," she says. When working on creative projects, Chia-Ying begins with abstract words and imagines how to express them with objects. She reads a lot of fiction and enjoys different ways of storytelling. Random, a pendant light playing with two strings and serendipity, US$1,520 (small) and US$1,900 (large). "When pulling one string of the two, the lights turn on one by one in random order. The enormous number of combination makes each pull a unique moment and each setup unexpected. Pulling the other string dims the light in the reverse order until all lights are off." What was the very first piece that you designed and created? What is the most memorable furniture item you designed? Unfold, a series of wall stickers with functions. "It contains a radio, a lamp, and a scent diffuser. This collection uses paper folding to create playful transitions on forms. Each sticker has an origami part that can be opened up, folded back, or adjusted in between. The sticker transits between a functional and decorative piece. The farther you open up the horn, the louder the volume becomes. When it is folded back, the radio turns off. The rotary plate in the centre is the tuner." In Your Time, a clock ticking in the speed of one’s heartbeats. "It records the heart rate through a pulse sensor, and translates it into hours and minutes by matching the length of a second to one heartbeat. The number of hour and minute in a day also changes in proportion with the speed of the heart." If you could live in a famous person's home, whose would it be and why? Ann Demeulemeester. Besides being one of my favourite fashion designers, she lives in a house by Le Corbusier! If you would be reborn in another country, where would it be and why? I would like to be born in a country where people are open-minded and have more tolerance for the difference between individuals. The Nordics came close. 1. Take it slow. You should really experience the space before making any plans. 2. Buy items that will age well. Who's your favourite furniture and interior designer? Share with us at hello@cromly.com.